A 3 minute oral presentation written by Holly. The subject for the presentation was "What the world needs now, is....." - Holly chose tolerance. What do you do when you see people with special needs? Do you quickly look away? Do you make eye contact? Do you avoid them or do you say hi? What the world needs now: is an understanding of people with special needs. Many people associate special needs with someone who is in a wheelchair, or who is blind or deaf.Some people believe that a person with special needs is totally different and therefore would need to be treated differently.People with special needs come in a variety of shapes, sizes and cultures - just as we all do and the only thing that separates a person with special needs is that, for one reason or another, they are unable to do certain things in the same way as most of the other people in society take for granted. A person's disability is always specific to that person. The reason I chose to talk about people that have special needs is because I have a brother with a rare genetic syndrome. My brother has KABUKI SYNDROME. He was diagnosed when he was six months old. 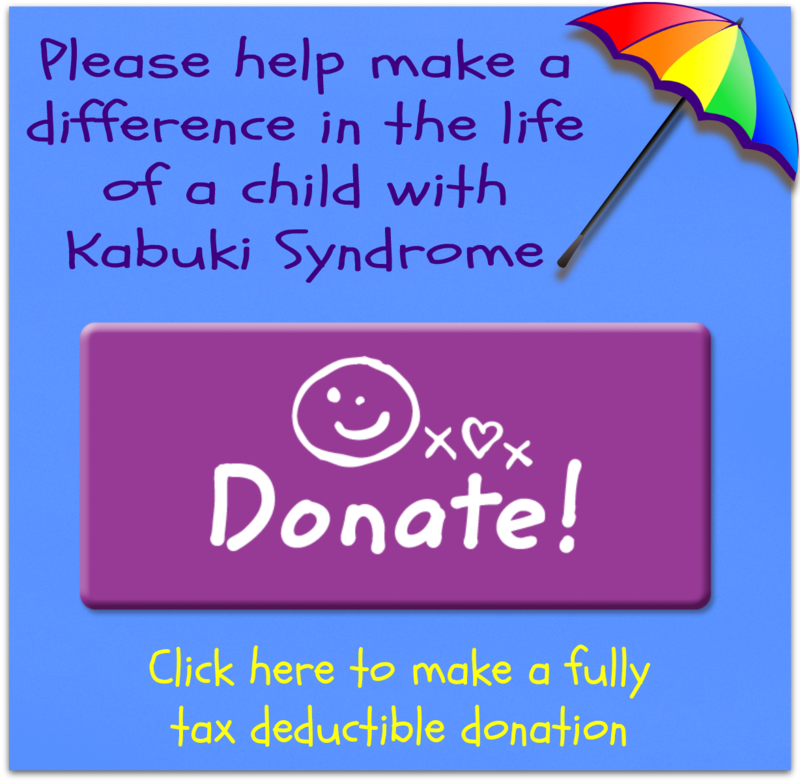 Kabuki Syndrome was first diagnosed by doctors in Japan in the 80’s, so it is a relatively new syndrome, and there aren’t many people diagnosed in Australia; only about 40 so far. Some of the features that can occur are: Unusual facial features, like large ears and unusual looking eyes, children with KABUKI SYNDROME are very small; most have an intellectual disability which is different in each person. Other problems that can occur are a cleft lip and palate, heart deformities, and physical problems that can cause difficulties with walking.My brother was born very sick and spent most of the first year of his life in hospital or being nursed at home, for the first 5 years of his life he had countless operations including major heart surgery and lots of craniofacial surgery. These days now that my brother is nine, most of his medical problems are better, he is still physically challenged but can walk, run, catch a ball and hold a pencil.He attends a mainstream school and is about a year behind. People that know my brother treat him really well, but when we go shopping or out in public there are still people that stare. When I have the chance to explain my brothers disabilities to strangers they seem to want to learn more and treat him well, it seems to me it’s just those without any UNDERSTANDING OF PEOPLE WITH SPECIAL NEEDS have the problem and do things like stare or avoid them. That is why I chose to tell this group about my brother – I have a little brother who is different to most people because he was born with challenges that most of us don’t have. He is exactly the same as the rest of us because he needs to be respected and loved. People with SPECIAL NEEDS need you to understand them. So the next time you meet or see someone who is challenged don’t feel uncomfortable, they are just like us in all the important ways. What the world needs now is an understanding of those who have special needs. By Holly (13 years old) big sister to Zachary.